Each LionDesk user has their own unique LionDesk email address. 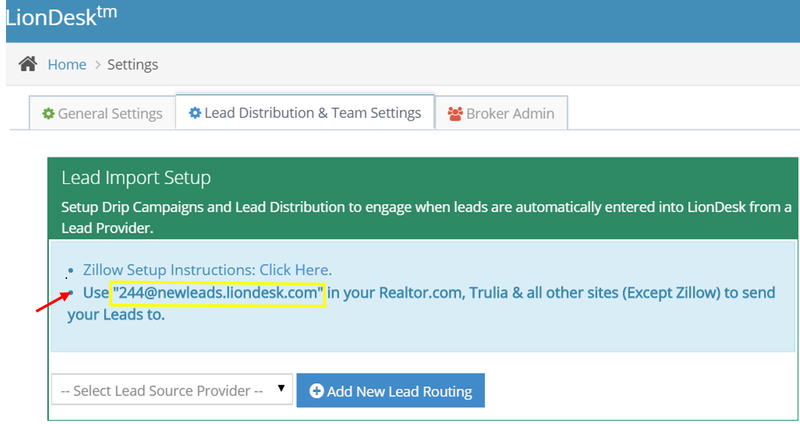 When a lead notification is sent to this address from one of our support providers the lead will automatically be entered into LionDesk. 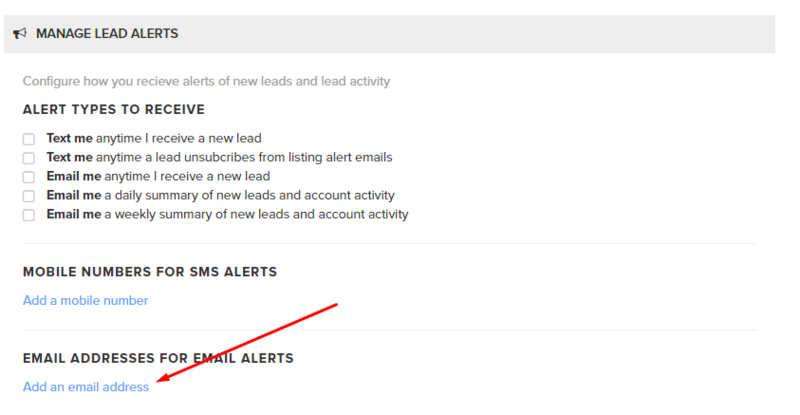 Note: this email address is for real estate lead notifications only, not for regular emails. 1. Go to the "Settings" screen. 3. On the top of the page you will find your Unique LionDesk email. Campaign: The Selection of a campaign is optional. 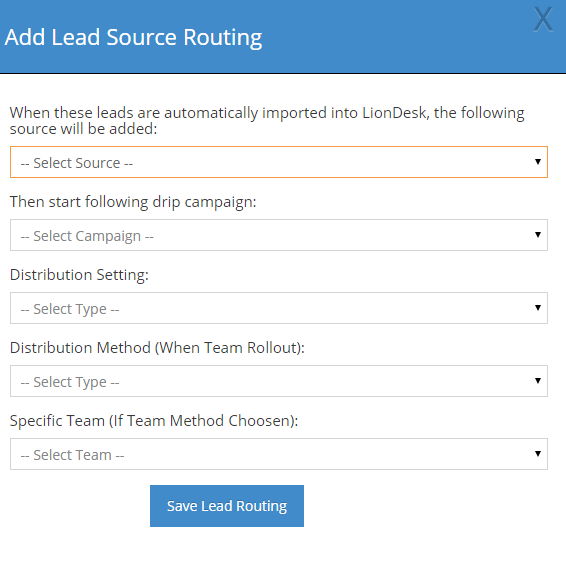 Select from the Drop Down an Auto-Responder that will automatically go out to the leads as soon as they come in LionDesk. - Individual: Choose that option if you are a solo agent and then stop here and hit "Save Lead Routing"
- Team Rollout : Choose that option if you are a team of agents and would like the leads distributed among team members. 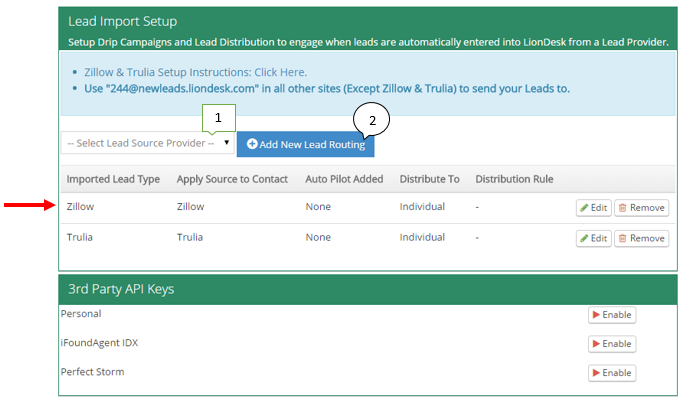 Then Select Which "Distribution Method" and Which "Team" Once Done hit "Save Lead Routing"
Once you have changed over your Diverse Solution IDX email address you can test it out by going to your website and submitting an inquiry. 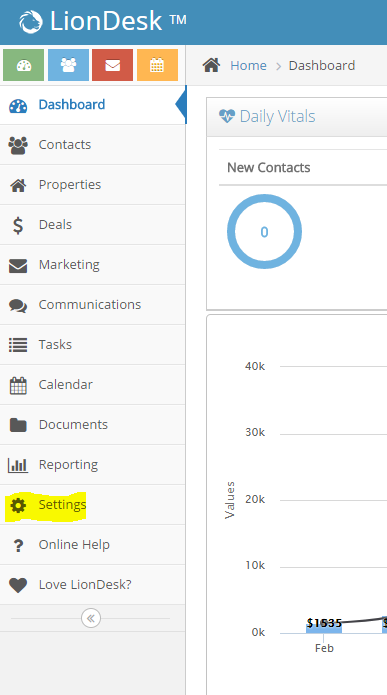 You should receive an email notification from LionDesk and see the lead in the system under "Contacts"